A 75-year-old man arrested over a pub bombing in which 15 people were murdered in Northern Ireland has been released unconditionally. 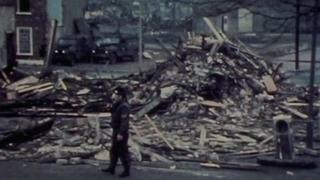 The attack at McGurk's bar in Belfast on 4 December, 1971, was carried out by the loyalist paramilitary group, the Ulster Volunteer Force (UVF). The man was detained in east Belfast on Wednesday but later freed. Police recently reopened the case following a critical report into the original RUC murder investigation.